Well, I've been after this for quite a few years and I think it may have happened today. I was chasing strong rotating storm over Bucskin Mountain between Big Water and Kanab UT earlier and believe I may have caught my first small land spout tornado. The storm was rotating good. 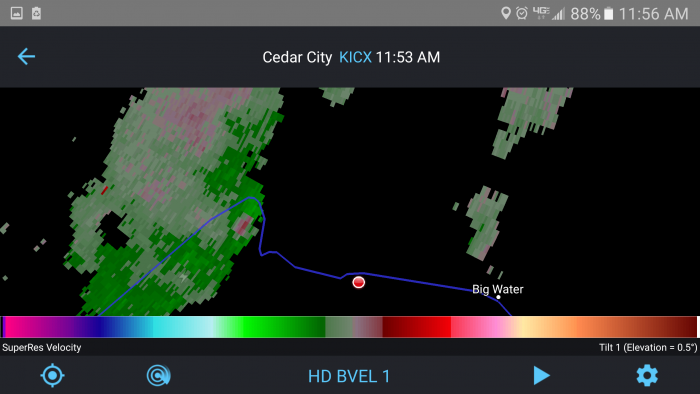 Look below for a screenshot of the radar image showing rotation. Screenshot showing rotation about the same time this image was taken.